For 40 years, Tsui Hang Village Restaurant has been a place for those who enjoy Cantonese cooking. Over the years, Tsui Hang Village is dedicated to preserving the traditions of hand-crafted Guangzhou cuisine with relaxing atmosphere and attentive service. Here at Tsui Hang Village, freshness comes first. 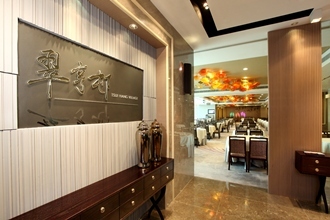 Each dish is prepared with select ingredients and sauces that represent real Guangdong cooking. They are noted as well for their unique and authentic Shunde and Hakka-style dishes. Tsui Hang Village is a Mecca as well for its dim sum house specialties like Honey-glazed Barbecued Pork and Shredded Boneless Chicken. Classic dishes of yesteryear also feature prominently on the menu as do nourishing seasonal selections that highlight the best that nature has to offer. Tsui Hang Village is available for festive dining with special set menus and dishes to celebrate every occasion.